The Women Empowerment Society in collaboration with Senior Biology Society and Shaukat Khanum Memorial Cancer Hospital held its annual Breast Cancer Awareness Campaign from the 17 to 19 October 2016. A comprehensive seminar was held to spread awareness of the deadly disease. The representatives from SKMCH elaborately advised precautionary measures and possible medical steps to the audience. 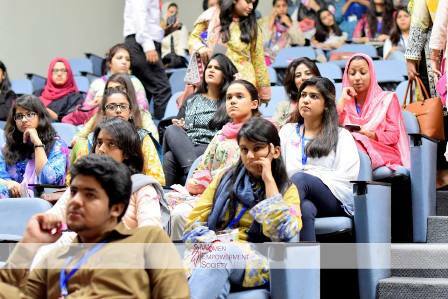 A screening of Sharmeen Obaid Chinoy’s much lauded documentary was arranged as well. Conclusively, the highlight of the cause was the safety, health and solidarity against the disease did not go unnoticed.